I only happened to discover more of Lush recently and am in love with what they offer. They always have something fun for every occasion. Be it Christmas or Mother's Day. 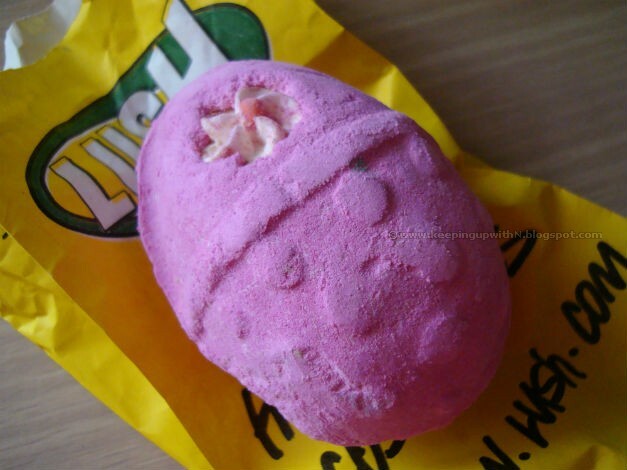 For the day that is eggs and bunnies and all things nice (Easter), Lush have a handful of delightful limited edition products that kept making me go, "Ooooh so pretty". And they give off an amazing fragrance. This is known as The Fluffy Egg. 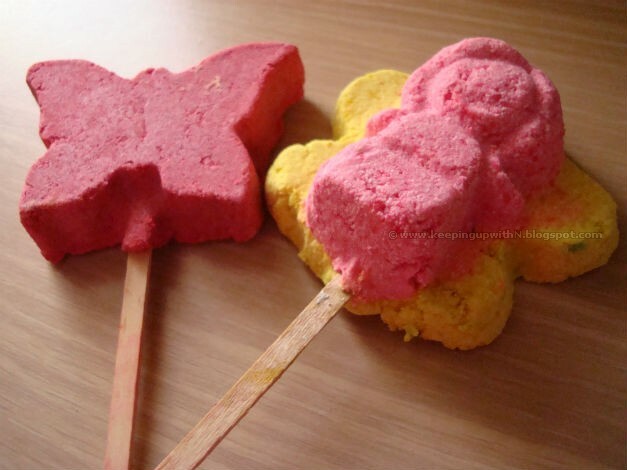 It's a bath bomb (pop it into the tub and wait for the water to turn into cotton candy pink) but not your ordinary one. The bubblegum and vanilla smelling egg has so many surprises inside so wait for it to melt and enjoy the hunt! Right next to The Fluffy Egg, sits The Secret Garden. It smells aaaaamaaazing. And why wouldn't it? It's got rose, sweet wild orange and rosewood oil. There's a reason why it's named The Secret Garden. 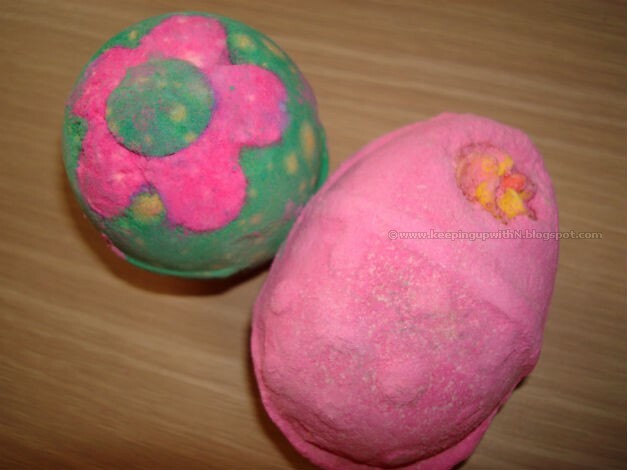 Pop it into your bath tub and watch the hidden surprises reveal themselves- petals, petals and more petals from flowers such as rose, marigold and blue mallow. Too tired after a day's work? Zero energy left to even raise your hand? Then you should give The Brightside a go. 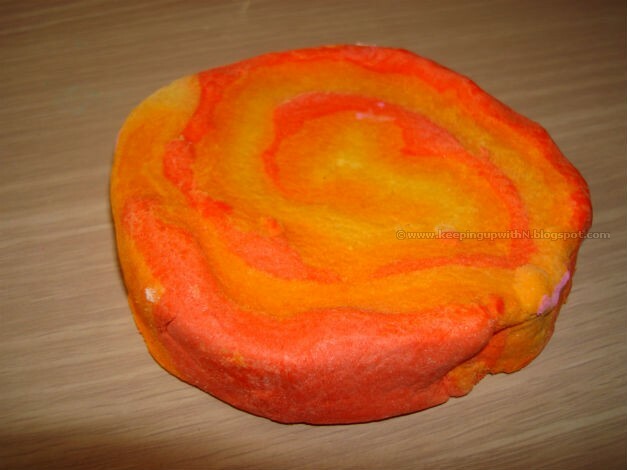 It's a bath bar with citrus fragrance that will help you relax. It is also responsible for creating hundreds of orange and yellow bubbles. Two key ingredients include Tangerine and Bergamot Oil. 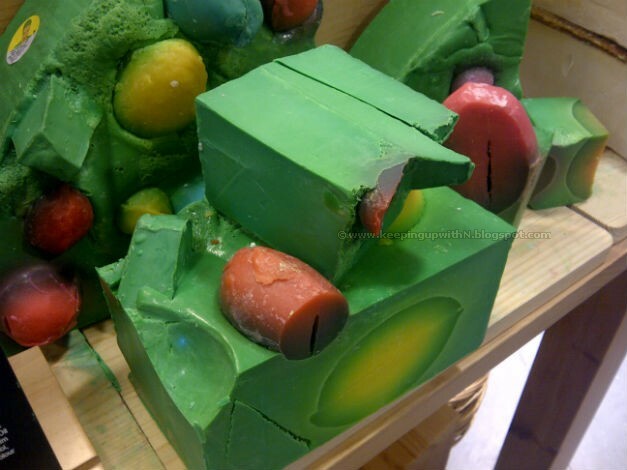 When I first saw this soap, I went "Woaah"- it looked like those Whack-a-Mole surfaces except that it was green, circular and had colorful Easter eggs on it's surface. See, I told you Lush comes up with funky stuff. Of course, you get to take a slice of the soap home instead of the whole thing. The Egg Hunt soap is a blend of citrus essential oils, coconut oil and rapeseed oil to name a few. Hello, smooth skin! 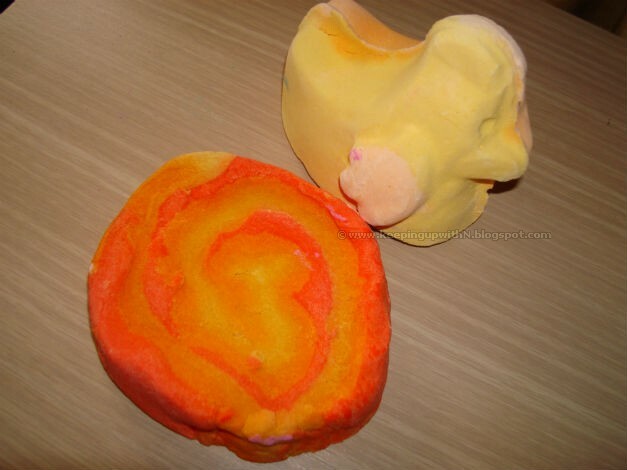 The duck shaped bath product, Henata is full of surprises. You know how bath and rubber duckies go together? And you know how a pinata is full of surprises? So Lush gives you the Henata! Just like the Fluffy Egg, the Henata has surprises too! Too bad you can't break it before hand...well, you can- but put it into the tub and watch the surprises float! Pretty cool for a bath product, I say. Say hello to The Washing Up Fairy (located on the right). I was surprised to learn that Lush not only makes skin and hair care products but also something to clean up those dishes! Yep, The Washing Up Fairy is a reusable solid detergent that melts in water so those dishes can be squeaky clean. Madame Butterfly is an amazing rose jam scented reusable bath bar that helps improve the skin's appearance while dissipating a lingering rose fragrance. Lush also has those sweet gifts for your mum packed with amazing soaps, body conditioners and bath bombs among other things. There are several other limited edition surprises waiting in store! Head to Lush and I'm sure you won't leave empty handed.